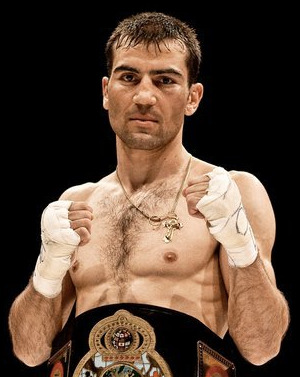 EE-EU welter champ Aslanbek Kozaev, 21-0, will make a voluntary defence of the title against Sasha Yengoyan, 21-0-1 September 28 at the Topsporthal in Gent, Belgium on a show promoted by Claude Van Den Heede. It´s a fine matchup between two undefeated fighters. Yengoyan is from Armenia but have been fighting out of Belgium the last few years and built a reputation as a dangerous but crude puncher. Sasha began his procareer in Spain where he quickly earned the nickname "La Bestia del Este". The undercard features jr welter Jean Pierre Bauwens, 24-0-1, and veteran cruiser Ismael Abdoul, 44-24-1.